Introducing the Cateye Volt 100 Rc. Cateye's new affordable, rechargeable and bright light. 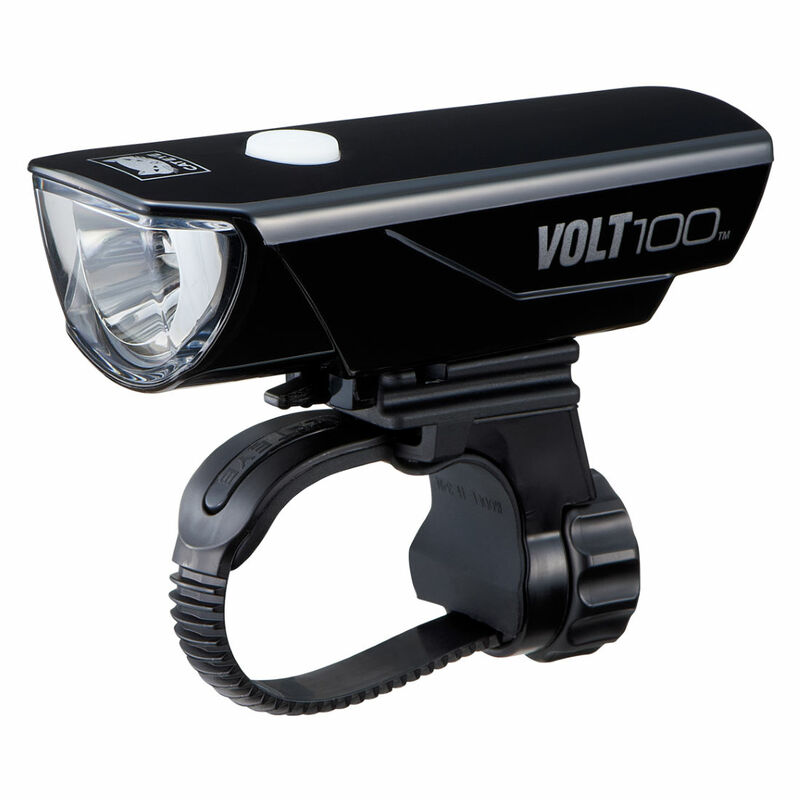 The Volt 100 produces a constant 100 Lumen Output, this is plenty to get you seen by oncoming traffic, pedestrians and other cyclists. The Volt can reach a brighter Lumen of 150 when in its flashing mode for when you really want to be seen in busy areas and peak traffic.